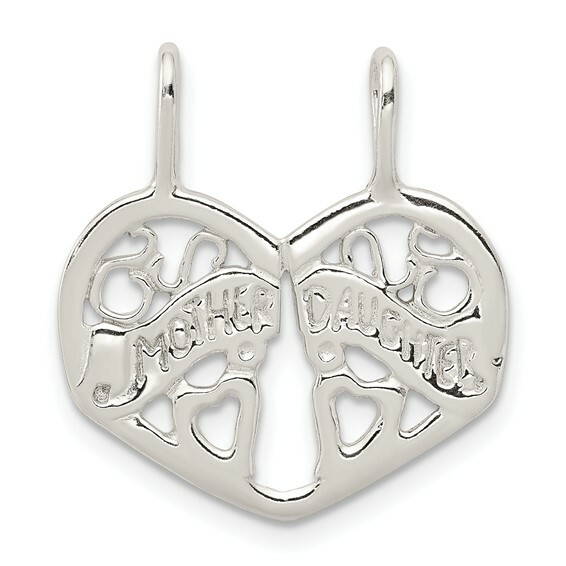 Mother and daughter break apart charm is made of sterling silver. Measures 9/16 inch tall by 3/4 inch wide without bail. Designed to be split and worn by two people. Weight: 1.87 grams.